Most small businesses are born out of love. Someone has an idea, cares about it, and wants it to come to fruition. When that business idea finally starts to become a business reality, it’s a deeply personal accomplishment. As members of a small business team ourselves, we understand how personal the successes and failures of a small business are, which is why we’d like to share a few ways to ensure your company not only stays afloat, but thrives! 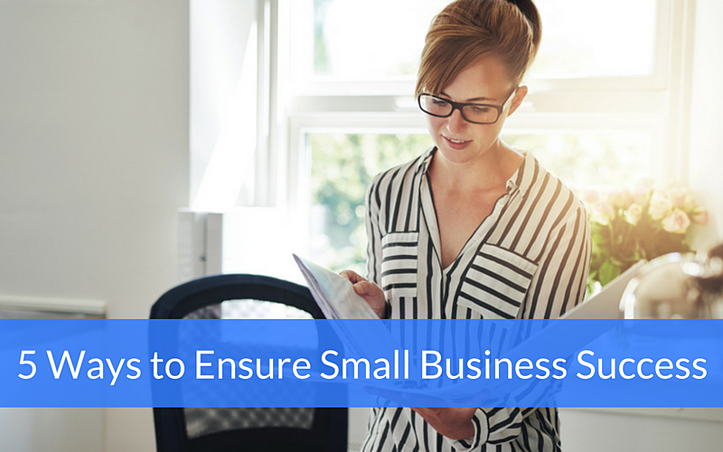 Here are five things you should know to ensure small business success. 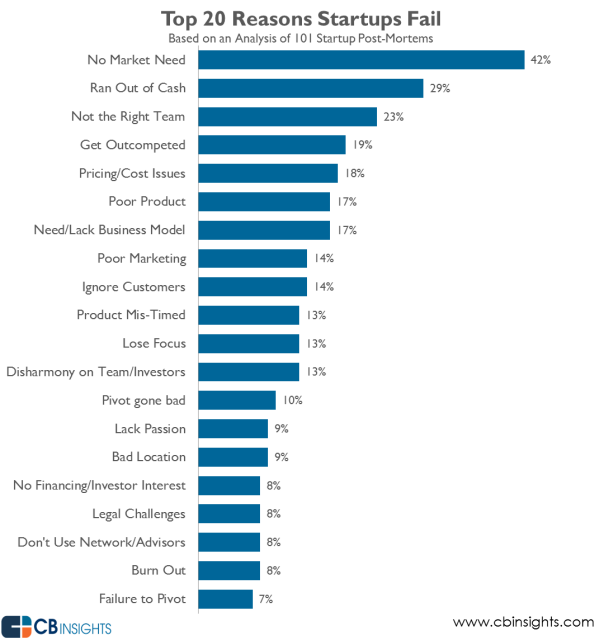 According to CB Insights, the number one reason startups fail—at an astounding 42%—is that there’s no market need. That’s why it’s incredibly important to know your market and what it needs before investing time and money into starting a small business. Make sure your business idea is sound and that it resonates with your target market and what they need. Which brings us to number two. To know your market, you have to know your audience. What’s the demographic you’re after? What problems do they have? What makes them tick? If you really understand what they need, you’ll be able to give them what they want. Do your market research: Talk to prospects and customers, start discussions on social networks, and use surveys. This will help you tease out who your customers are and develop buyer personas to more effectively market to them; which brings us to number three. You had the great idea, you know it’s viable, but you’re not sure how to market it. Some owners of awesome businesses simply might don’t know how to get the word out about their company. But don’t let that put your SMB in jeopardy; if you don’t know how to do it yourself, find someone that does! Figuring out marketing—especially inbound marketing (and yes, everyone needs SEO and social media marketing)—can be time consuming and difficult, which is why it often gets pushed to the side during the initial stages of starting a business. But it’s important to remember that marketing will bring in new customers; and without customers, you don’t have a business. Although it’s an investment of your time, money, or both, it’s critical to the success of your business, so make the investment. Whether you’re selling a product or service, it’s important to know what your solution is worth. While products are easier to price (since you know how much you spent to make it), pricing services can be a bit more tricky. With both, however, make sure you factor in overhead, salary, business expenses, etc. Furthermore, the last thing you want is for your small business to suffer because your prices are too low. If this is the case, begin to raise prices, but for new customers or clients only. See what the market will bear and adjust your pricing accordingly. The hope of any small business is to grow. While it might not happen overnight, it’s important that you have a plan in place when that growth does begin to occur. Know who you need to bring on board next and have your training regimen in place so new hires can be brought up to speed quickly. You’ll also want to make sure you stay true to your core mission throughout the scale-up process. Starting a small business is a big leap of faith, which is why it’s so important you have your bases covered before you take it. Knowing the market, your target audience, marketing basics, what your solution is worth and how you plan to handle growth will help ensure small business success. And guess what? You can start checking one of those off the list by downloading the free checklist below!